Michael is simply the best! He is organized, reliable, honest, and timely. His project management skills and intellect are superior to the vast majority of other contractors in the area. Our project was finished on time and on budget thanks to him. I would recommend him to anyone. Thanks to Michael Flesher of Tri County Homes, my husband and I now have a beautifully designed pool house which is perfect for entertaining family and friends year-round! We definitely recommend Michael and his team. Tri County Homes has been remodeling and building new homes in Madison and the Jackson metro area for over 12 years. Our goal is to work with you to create the custom home you have been imagining while at the same time making the building process as simple and cost effective as possible. Whether remodeling a shower, designing a 2,000 ft2 addition, or a custom new home we pride ourselves on taking the time to help you make your dream project a reality. Building a custom new home may seem out of reach financially for many people, but that’s not necessarily the case. It comes down to budgeting. We will create an unique detailed budget for your project based on a face to face meeting with you and a representative of Tri County Homes. This will allow you the opportunity to let your taste and budget come to an agreement and also prioritize the features that are important to you. Have a great location but an older or out of date home? How about just running out of space? As the scramble for new building sites continues, neighborhoods keep getting farther away from everything. We often hear from customers “We really like our current location but need more space. The new home locations would leave us with a 45 minute commute twice a day.” If you have had any of these thoughts then an addition or renovation may be the ideal solution for you. Money and features aside, building a custom house or renovating an existing home can lead to a level of satisfaction that you can’t achieve through buying an existing home. This is your home that matches your style and personality that you created from scratch. 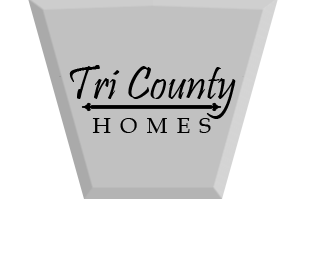 Contact Tri-County Homes today to schedule an appointment to review your project. Get In Touch with Michael today!